Looks like Panasonic is back in the game and retakes the lead in the advanced compact competition. The LX100 has a really good photo and video quality and several others great features that can easily make it an interesting release. The new camera features class-leading performance and in short time it will probably be one of users’ favorite compact cameras. You can find it at the prices of 900 dollars, AU$1,200 or £800, depending the region. It is a little expensive, but if you are looking for an upgrade to your camera and a better video or photo quality, this might be a great choice. For those who are in an entry-level to photography, LX100 has a full auto mode. Panasonic DMC-LX100 could be a great companion for a dSLR or even an alternative to a midrange interchangeable-lens model. The combination of some quality lens and large sensor results in extremely good photos. Even if you shoot in default color settings, this camera manages to delivers reasonably neutral results, at least up through ISO 1600. LX100’s 4k videos are quite impressive, even if it uses the same imaging engine as the GH4. Even when you watch a video on non-4k display, it looks better than HD. The audio quality is good, but if you are a picky person, maybe you should think more on which camera to buy. You should know that this camera doesn’t have support for an external mic and the 4k recording does require a UHS-II SD card. The lens operation is a bit noisy. 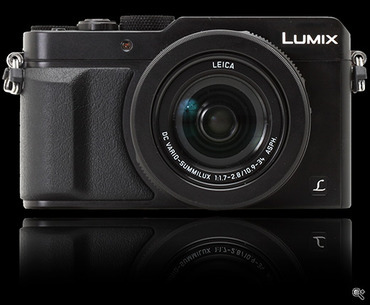 Panasonic LX100 is perfect for an enthusiast compact. The camera focuses and shoots in approximately 0.2 seconds, in both dim and bright conditions. However, its only disadvantage is the slow startup, which takes 2.5 seconds to power on. It takes around 0.4 seconds to shoot two sequential JPEGs and enabling flash bumps will need 1.5 seconds. The camera also has Wi-Fi and you can use it for direct uploads to social networks, transfer videos and photos from the camera to your device or send individual photos to your phone, if you are an Android user. It is a great camera and owns a great package of features. If is too expensive, you can always wait until the price drops and it can be a great buy for many amateur photographers.